I have served as a principal in Washington state; Tokyo, Japan; Chiang Mai, Thailand; and Southern Maryland; and, in each of those places, I have worked with skilled and committed PTA members. Perhaps none have been as committed as the co-presidents I met in my last principalship. The construction of a new middle school in the district was delayed significantly, and I was assigned to serve as the principal of a school that was going to house two entire middle schools for the month of September. As I started this new assignment in July, one of my first visits was with the PTA co-presidents. As we discussed the situation, these two PTA presidents made it clear that they were all in and that they were going to help my fellow principals and me make this situation work. Our focus was on ensuring that all students received a quality education during this time of transition. My school ran from 8 a.m. until 3 p.m. each day, and the other school from 10 a.m. until 5 p.m. in the same building. There was a lot of angst in the community. This arrangement was originally scheduled to end at the beginning of October, but it didn’t turn out that way. The new school finally opened in early January. Each time a new delay was announced, the PTA officers and members pulled together and helped engage the community. They were positive, and, most importantly, they influenced parents, students, staff and community members to focus on the learning and the well-being of our students. The co-presidents of my PTA made all the difference. They were integral to making it work. They were true partners and leaders. We have many types of partnerships in our school system: we partner with higher education, the business community and non-profit organizations. But no partnership is more important than the one we have with parents. Decades of research have noted the importance of parent involvement in students’ academic success. I find it exciting that there is no right or wrong definition for parental involvement. Engagement can include reading to your child each day, helping with homework, volunteering for a couple of hours a week in your child’s school, sharing your career experience with a group of students, attending a PTA meeting once a month, or becoming involved in an organization that supports student success. The list is as long as your imagination. Parent involvement looks different in every school and community. What makes this exciting is that every parent can find a way to be involved regardless of their interests, talents or time. As the quotes at the beginning of this blog note, even small efforts can add up to make a big difference. 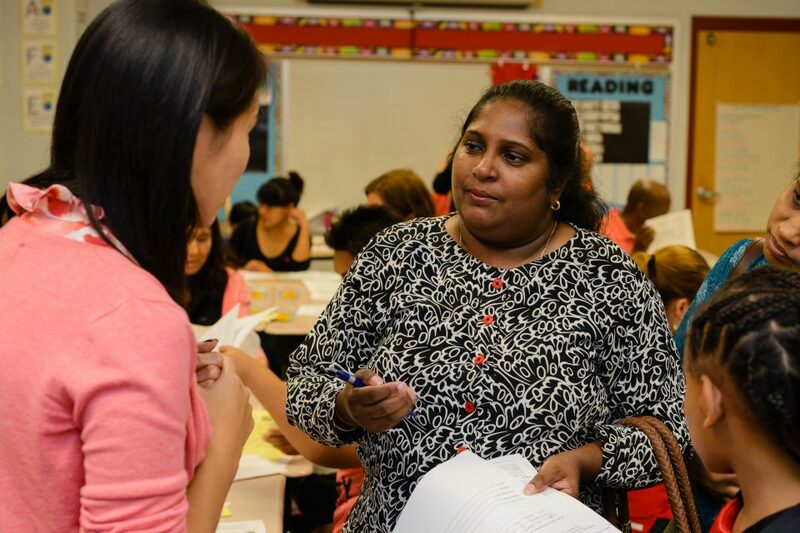 When children see their parents working together with teachers and schools, it helps them see how school life and home routines are intertwined. This eventually leads to students who are career- and college-ready. The onus is not only on parents to find a way to be involved. We, members of the school system, are key in the development of this relationship. We must engage parents and community members in a dialogue so we are truly working together to support student learning. We must be open to a range of ways that individuals and groups can be involved. Engagement and partnerships are two-way streets. For example, we can hold PTA and other parent meetings in the community, as well as in school buildings if that is more convenient or inviting. I thank all of the parents who are already involved. If you haven’t yet found your path to involvement, do not hesitate to contact your school principal, local PTA leader or a school system administrator. Our doors are open—on behalf of our students, please step in.